The project revitalised an old water tower in Emmeloord - the Polder Tower - and turned it into a recreational and tourist centre which includes an information point for turists, a restaurant and meeting and conference rooms. The Polder Tower was built at the end of the sixties as a water tower for the city of Emmeloord. Situated on the central square, the tower also served as a beacon for the city and the wider surroundings. 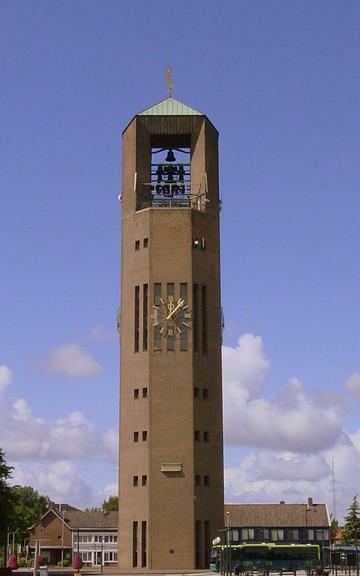 The monumental tower, which no longer serves as a water tower, is of cultural-historical value to the Noordoostpolder. As a consequence the municipality developed the plan to re-develop the tower into a cultural and tourist recreation information and visitor's centre. The main objective of the project was the stimulation of recreation and tourist facilities. At the same time it was intended to preserve cultural history and facilitate educational opportunities by providing adequate infrastructure. The activities focused on restoring the Polder Tower. The building was adapted for new purposes such as a museum, tourist information point, etc. To achieve this, furnishing of the public areas, the exhibition area and conference room were performed. Also, the square around the towers (paving, street furniture, lighting of the towers) was adapted to serve visitors of the tower. The project resulted in restoring monumental tower, and making it suitable for the new purposes. The tower functions as a landmark for the city and the surroundings. A tourist information point and an exhibition area of the Nieuwland Heritage Centre are located in the tower. There is a first-class restaurant and also conference rooms and a panoramic terrace. The exhibition currently attracts too few visitors to remain permanently open as a museum.